This coming weekend in New York City there’s the Big Apple Comic Con “Spring Edition,” one of the city’s biggest gatherings of all things comic books and nerd culture. On paper, the event probably sounds like Chasing Amazing Nirvana, but unfortunately that’s not so. You might have remembered me in previous posts pointing out my general distaste for all things comic con. That’s primarily because of an experience I had two years ago at Big Apple Spring while trying to acquire Amazing Spider-Man 119. Prior to Big Apple Spring, the bulk of my comic book show experience took place in the ballrooms of Long Island hotels, or at rented out VFW/Bingo Hall-type institutions around the tri-state area. I still have a fondness for these kinds of events. They may be small, and the available selection is not as exhaustive as it is at one of these comic cons, but the dealers are usually friendly folk who are mostly interested in making some extra cash and liquidating whatever comics they brought with them that day. Sure, it’s not all gumdrops and rainbows, and you still have to be careful about getting ripped off, but my experiences at these local comic book shows have been mostly positive. Perhaps my experience at Big Apple Spring in 2009 was just a case of misguided expectations, but it left a bitter taste in my mouth nevertheless. For starters, the price just to get in the front door was significantly higher than these smaller shows. Because I was on some sort of mailing list, I was able to get two tickets for the price of one, so I brought a friend who wasn’t really interested in buying comics, but wanted to check out the scene nevertheless. Inside the convention area was an impressive array of comic books. 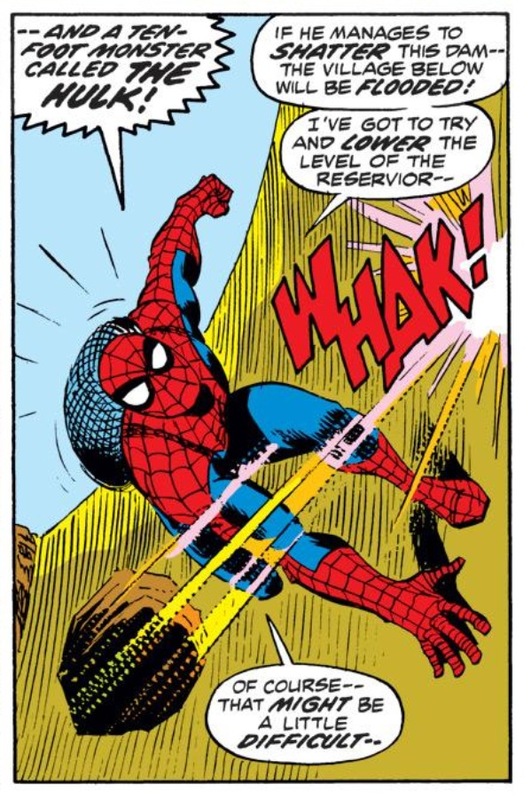 I was immediately struck by a table at the front of the room with multiple professionally-graded copies of the Spidey holy grail, Amazing Fantasy #15, his first appearance. Maybe if I was treating the experience like a trip to a museum, paying just to see all of these classic comic book artifacts, I would have been satisfied, but I was there to buy, not to ogle expensive things I’ll never own. At that point in my quest, I was working on nabbing all of the ASMs I could find between 100-199. 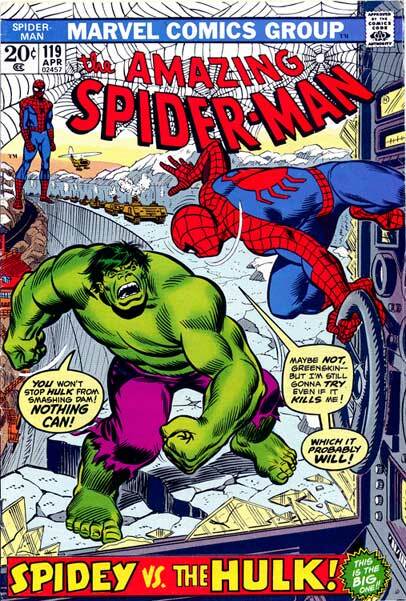 But more specifically, I went into that convention in hopes of landing decently-priced copies of ASM #s 119 and 120. 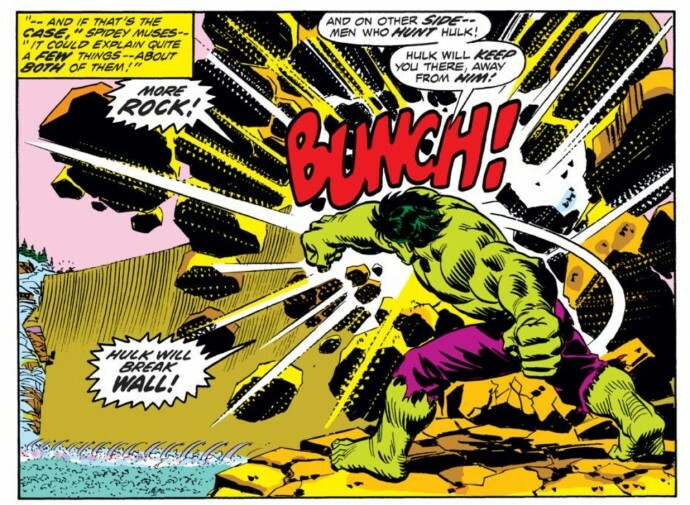 Both of those books were particularly hard to find in mid-grade condition at a reasonable price and I knew why – the Hulk. Comics with crossover stories featuring characters from other series are the bane of my existence as a collector. That’s because with these crossovers, not only am I competing with every Spider-Man completist to find a worthwhile copy, but I’m also competing with collectors chasing appearances of the guest character – in this case, the Hulk. I know these kinds of collectors exist because I recently received an e-mail from one who was asking me about whether or not I was going to go after every Spider-Man appearance (or at least, front cover appearance) in non-Spidey titles. This Chasing Amazing fan had seen a nice looking copy of Silver Surfer #14, which has Spidey prominently on the cover, for a heckuva price. It’s an interesting extension of the collection to consider, but not until after I finish the initial quest of collecting every issue of Amazing Spider-Man. I don’t have the time or financial resources right now to chase after these other appearances, no matter how golden the opportunity. But I understand others who do, which is why at Big Apple Spring two years ago I was determined to take care of the “Hulk issues” so I could then focus on some of the more easily (and cheaply) attainable ASMs in the 100’s. The problem was I wasn’t finding any super deals on ANYTHING, no less ASM 119 or 120. There were a couple of tables with comics “50 percent off,” but I found their grading standards to be a bit dubious, so in reality, I was getting the comic for exactly the value it was worth. That’s not a bargain. It’s just getting what you pay for. I did eventually find a few tables selling ASM #119, but they were all in very high-grade condition, thereby making them very, very expensive. I’m sure there was a market for these comics, but not for me. 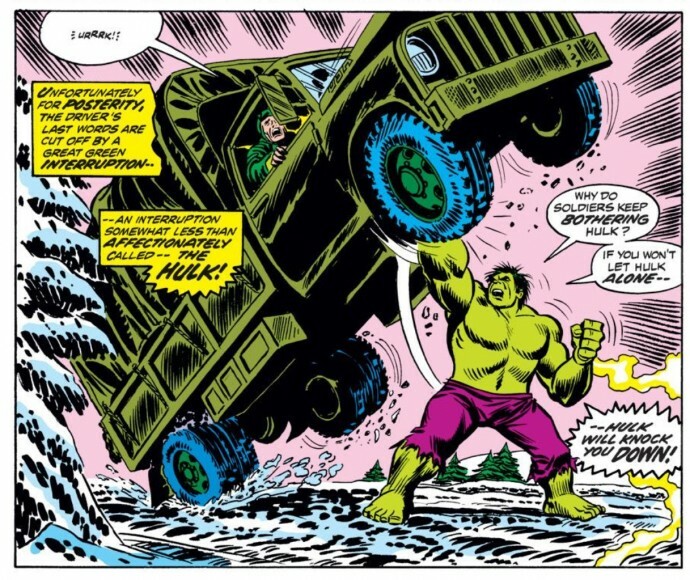 I wasn’t willing to spend a few hundred dollars on a comic just because it was in pristine condition and featured a Hulk crossover. Why couldn’t I find just one mid-grade copy of this stupid comic? And then I found it. My heart started fluttering for a few seconds before the dealer working the table subsequently ripped it out of my chest like some kind of maniacal tribesman from Indiana Jones: Temple of Doom. There was a nice deep crease on the front cover of this book, running diagonally from end-to-end. To be honest, I probably shouldn’t have even wanted this copy of ASM #119, but I was so desperate and thankful to have found at least one mid-grade copy, if the price was right, I would have purchased it. Yeah. No kidding, Einstein. How much? He then quoted a number that had to be at least twice the actual book value for a Very Good/Very Good plus copy of this comic. I’m fairly sure I cringed. Then he outright made me angry. Seriously, what an absolute jerk. This guy was very consciously gouging his customers because he KNEW that this comic – copies in Near Mint condition mind you – were selling at a higher price. Was he just looking for someone either too desperate or too stupid to know what ASM #119 in a lower/mid-grade is worth? I was appalled. I walked away from the table and the guy gave me a “your loss” type of response and I was done. The Big Apple Spring Comic Con was officially over for me. A few weeks later, I ended up finding a copy of ASM #119 in Fine condition (just what I was looking for) on eBay. So I decided to dedicate myself to winning that auction and finally being able to cross one of the Hulk comics off my list. Ultimately, the eBay process was much less eventful and I won the auction. 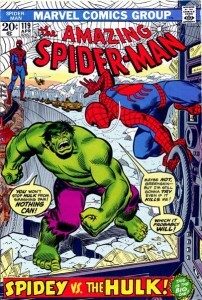 Another week later, I was a proud owner of ASM #119. But that doesn’t mean I’m still not angry at the Comic Con experience every time I look at this book. Maybe I’m being petty to let one dopey seller affect my attitude towards the world of Comic Cons, but I just felt so betrayed by the experience. Attending a comic book convention shouldn’t be a privileged experience, and someone looking to buy something at one of these events, shouldn’t feel bad because they’re just looking to get a fair deal on a comic. It was exasperating to me that even after paying a premium just to walk that floor, I still had to have my guard up around these guys. Ultimately, I decided it wasn’t worth the hassle. And considering I ultimately got ASM 119 at the price I wanted off the Internet, I’ve been given no reason to give Comic Con a second chance. 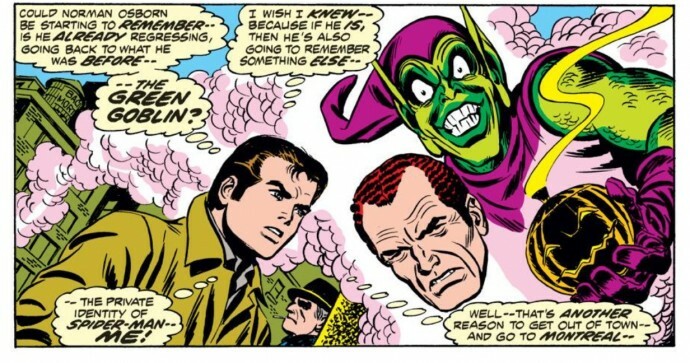 All images from Amazing Spider-Man #119: Gerry Conway & John Romita Sr.
Was that Michale Carbonaro? That tool one time while I was at his table looking through a short box full of stuff YANKED THE BOX OUT FROM MY HANDS while talking to another guy – never even looked or spoke to me. Total tool. Ha … Jamie I honestly don’t remember his name. I usually like to protect the identities of people around here, but I was so annoyed, I would have probably outed him if I remembered. Was that the time I went with you to one of the comic cons at a hotel conference room in the city? Either way, great blog man. The editor in me wants to mention every time I see a (rare) typo, but then I think of the frequency you put these out and the quality of the writing, and any minor negatives are forgotten. Awesome to hear that you inspired the Batman collector as well! Isn’t it weird that the big comic cons is typically the worst place to actually buy comics? So many of the dealers that actually bring comics seem like they’re looking only for attendees that aren’t versed in ebay, amazon, craigslist, etc. The folks who comes to cons thinking it’s the best place to buy comics, and thus are typically willing to part with more money because “this is their only chance” blah blah blah. I’ve been going to cons long enough to have learned that the bigger the con is, the less likely you are to ever truly find a deal. It’s not all the dealer’s fault either. The con organizers charge an arm and a leg for retailer booth space, so a lot of that money from over priced comic purchases still funnels up to them even though you pay a premium to just get in the door as an attendee. Maybe it’s an East Coast thing, or just the really big shows? The only really big show I’ve ever been to was a Wizard World in Chicago maybe ten years ago (when Wizard was still a magazine and I wasn’t opposed to giving them my money), and I didn’t have any issue finding (legitimate) good deals – though at the time I wasn’t looking for anything of the vintage of ASM in the 100s. But we have two medium-sized shows here in MN every year (bigger than the kind of hotel/VFW shows you describe, but not as big (or corporate – they’re non-profit) as stuff like New York Comic Con or whatnot), and I’ve found a lot of success at those shows in my own quest to assemble a full original X-Men run, using similar standards you do (attractive but not Near Mint copies). Most of our dealers are very nice, willing to haggle, and charge fair prices (and the ones that don’t are easy enough to avoid). I’ve assembled pretty much my entire Silver Age run of the title from these shows. As I mentioned in another one of these old posts, I’m currently in the “nabbing all of the ASMs I could find between 100-199” phase of my own collection. I have most of the stuff from 140 on, and of course 121-122, but big gaps outside of those. Having never sought out any of these comics before, I didn’t know how much they cost. Searching for them now, I’m dumbfounded by some of these prices. How can it be that random, middle-of-the-road bronze age issues will run you more than a Steve Ditko classic? Where do these prices come from? It’s super frustrating. Tell me about it. I was having a frustrating time 4-5 years ago when I was at the same point as you were. Can’t imagine what that time and inflation has done with these issues. Honestly, unless you have a very very good relationship with an LCS who deals in back issues, mycomicshop really is the best place to go for this. You’ll pay CBG list prices, but I find mycomicshop’s grading to be on the conservative side which gives you a touch more bang for your buck, especially if you chase lower grade copies like I do.